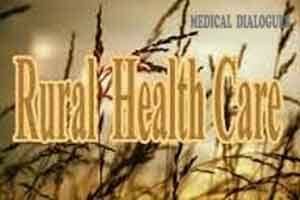 Rural health care indicators are “considerably” poor as compared to that of urban areas and more than 23 per cent of rural households in the country faced “catastrophic” health care expenditures in 2014, government said. “The rural health care indicators — infant mortality rate, total fertility rate, under five mortality rate and availability of beds — are considerably poor as compared to that of urban areas,” Union Health Minister J P Nadda said in a written reply in Lok Sabha. “According to NSSO Health and Morbidity Survey data analysis in 2014, about 23.66 per cent rural households faced catastrophic health care expenditures,” he said. The National Rural Health Mission was launched in 2005 to improve health care in rural areas. And, there has been no decrease in budgetary support during any succeeding year, the minister said. The Centre-state funding pattern has been revised from 75:25 to 60:40 with effect from 2015-16. This has led to an increase in the resources of health activities under the National Health Mission. “The draft national health policy 2015 has been formulated to revise the existing NHP 2002. One of the key principles of the policy is reducing inequality, which implies minimizing disparity on account of gender, poverty, caste, disability, other forms of social exclusion and geographical barriers,” he said.